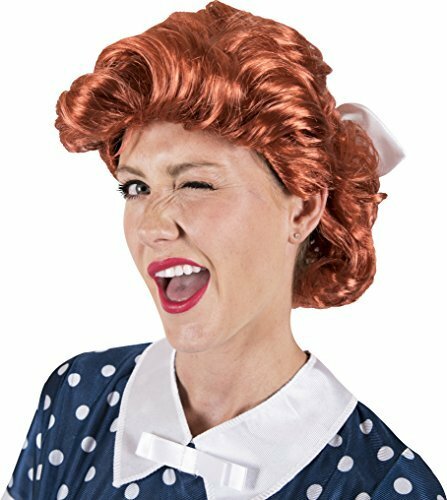 Pay tribute to the golden age of television this Halloween with the Lucy Candy Factory adult's costume. 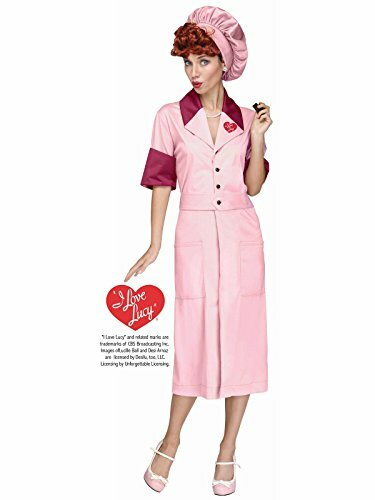 Re-live the famous chocolate factory scene as Lucille Ball herself with this bright pink ensemble straight out of the 1940s. Serve up the laughs with this comedy legend homage. 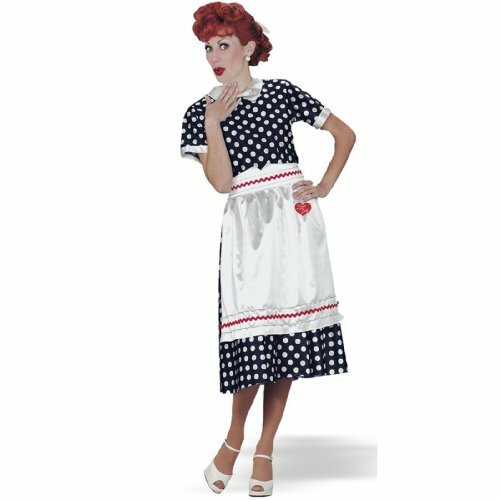 Whether you choose to be the life of the party, or do a clever bit where you haphazardly hand out chocolates from the comfort of your own home, the Lucy Candy Factory outfit is sure to connect with an audience as unique as your brand of comedic prowess. 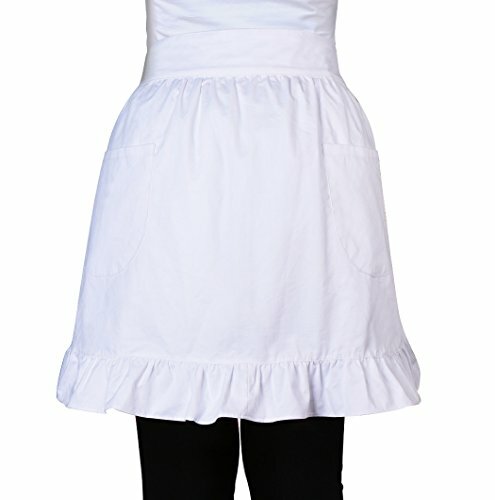 FEATURES - Full circle flared skirt - Fully lined - Short turned sleeves - Collared neckline with buttoned front - Side zipper - 96% Cotton, 4% Spandex NOTE: The dress is pre-packed in the manufacturers packing and will require a light steam iron to remove creases.Our kids petticoat is recommended to achieve the flared look shown in the images (not supplied with the dress, sold separately - please see our store - BlackButterfly). MEASUREMENTS OF THE DRESS The chest and waist are the actual measurements for this dress and are not body measurements. Length is given from underarm to hemline. 3 - 4 Years Chest = 23", Waist = 22", Length = 18" 5 - 6 Years Chest = 25", Waist = 23", Length = 20" 7 - 8 Years Chest = 26", Waist = 24", Length = 23" 9 - 10 Years Chest = 30", Waist = 26", Length = 25" 11 - 12 Years Chest = 32", Waist = 27", Length = 27" 13 - 14 Years Chest = 34", Waist = 28", Length = 29" All measurements are approximate and are given in inches. 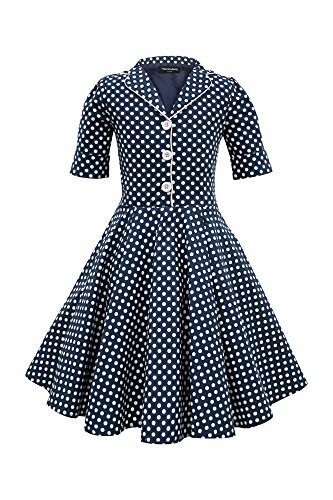 IMPORTANT: The fabric on this dress does not have any stretch or give - the above details are the maximum measurements for the garment. When selecting your size ensure you do not select a size whose measurements are smaller than your body size. This Apron has 2 Pockets,allowing you to put a cell phone, keys and other small objects. 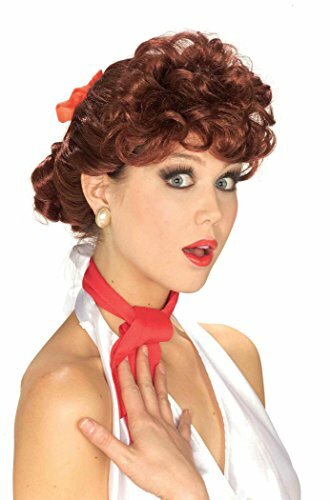 The long ties at the waist make this apron suitable for most sizes and the ruffles on the bottom flatters most body shapes. This apron is also can be as a work apron in restaurant, cafe, hotel, etc . 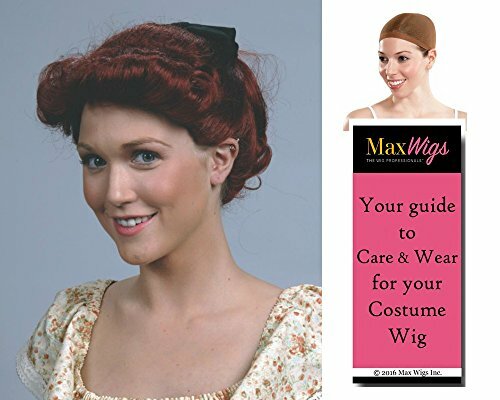 Go for a unique look this Halloween with our Red Head Wig! Pairs well with a classic and retro look! 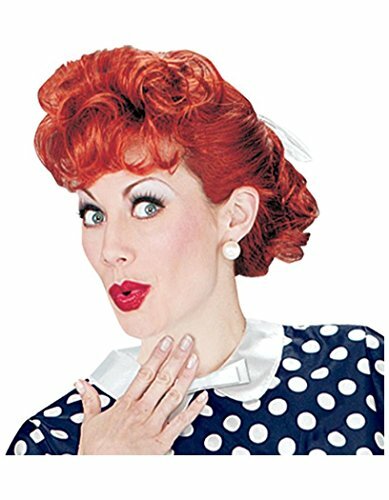 Includes one Red Head Wig in red.